Fitness Marketing Law #13 – The Law of Sacrifice – it’s something that takes place in our personal lives and in business. It could be a sacrifice of money, time, wants, or needs. Each one us of could come up with a huge list of sacrifices we’ve either heard of or done ourselves. Sacrifice is a big part of being a successful entrepreneur. Sometimes you have to let things go in order to reach success. The word sacrifice makes you “think” about what is necessary for your business. It makes you “think” instead of rushing into an expansion or something new that could possibly fail. There are three elements in the law of sacrifice: product, target audience, and change. Fitness Marketing – The law of sacrifice means learning to say NO to certain opportunities, which isn’t easy. We are taught opportunities are good and should seek all we can, but being a successful entrepreneur also requires learning to say NO. Many entrepreneurs have learned the hard way by saying yes instead of no. I was one of them when I opened Anytime Fitness in Riverside, CA. I learned a valuable lesson from saying yes and expanding my product line. A successful entrepreneur is not all over the place. His product is not all over the map with no focus. He should be able to explain the nature of his business in one elevator ride. What does this mean? You get in the elevator on the first floor and should be able to describe your product before reaching the top floor. Depending on the amount of floors you might get a few extra seconds, but you get the point. Fortune 500 companies have lost a lot of money by not sacrificing when necessary. Look at Federal Express back in the 90’s. They owned the word overnight and were the first to place it in the prospect’s mind. When a package absolutely had to be somewhere overnight, people called Fed Ex. Fed Ex then made a mistake by not saying no to an opportunity. They tossed their overnight position and bought Tiger International’s Flying Tiger cargo line for $880 million. By doing so, they became a worldwide cargo business. Within 21 months Fed Ex lost $1.1billion in international operations. I’ll say it again; fitness marketing is a battle of perception, not of products or services. Another example: Kraft is known as a generalist company, meaning they have a lot of products, but their name isn’t known for any specific one. They make jellies and jams but people don’t think of Kraft when purchasing them. But if I mention Smucker’s, you would think of jelly and guess who owns the market for jellies and jams? Kraft actually does own the market in one category but not under the Kraft name. If I asked you to go to the store and buy cream cheese, what’s the first name that comes to mind? Philadelphia! And guess who owns the market for cream cheese? Philadelphia cream cheese is a new category for Kraft. You following? Have you heard the name Interstate Department Stores (founded in 1916)? Interstate was a generalist store that sold everything. After going bankrupt in 1974 the company reviewed their financial report and decided to focus on the product that made them money: toys. This is where Toys R Us came from. Interstate sacrificed all other products and focused on what made money. By 1980, Toys R Us had the reputation as a retailer with great efficiency and turned the bankruptcy blues into a nice $750 million in sales by 1981. Today, even in a falling economy, Toys R Us is still standing with gross revenue of $13.5 billion. Next, you must look at your target market. I’ve talked a lot about Coca-Cola. Why, because according to Fortune magazine they are the world’s most powerful trademark. Coke has outsold Pepsi for years. So, what did Pepsi do? They sacrificed everything else and focused on the teenage market only. They hired icons like Michael Jackson and Lionel Richie to exploit this market. It worked. Pepsi closed the gap and sales were only 10% less than Coca-Cola. Philip Morris did the same thing when they narrowed their cigarette ad to a “tough man”, cowboy and name the brand Marlboro. Other cigarette manufactures’ focused on men and women. Marlboro is the largest selling cigarette in the world and is the largest seller among men and women in the US. I don’t condone smoking but I do like the marketing strategy. 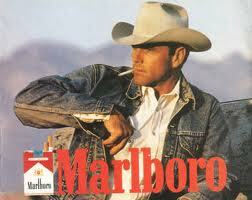 In this case Philip Morris’s target is the cowboy but the market is everybody. Think about it. How many cowboys actually exist but Marlboro is number 1. The last sacrifice I want to discuss is constant change. So many businesses fail because they change what is already working. If a product or service is successful, leave it alone. You can enhance the service or atmosphere but do not change the basic philosophy of what made your business and product successful. Example: In N Out was founded in 1948 and was the first drive thru hamburger stand. It was founded by Harry and Esther Snyder on the philosophy of giving customers the freshest, highest quality foods they can buy and providing them with a friendly and clean environment. Today, In N Out follows the same guideline. Every store, all 258 of them, runs exactly the same. In N Out has a strong employee loyalty, some with more than 20 years of service. They became successful based on the Synder’s original philosophy and continue to be successful without changing a thing. With 258 stores and more than $345 million in revenue for burgers and fries, I would say maintaining the original philosophy has been pretty good! Sacrifice doesn’t always mean you have to give up something good. As a business owner, sacrifice can mean the difference between financial freedom and stressing over the bills. By making the right sacrifices and knowing when to say NO, you too can reach financial success. I hope you enjoyed this fitness marketing law . Stay tuned for fitness marketing law #14.